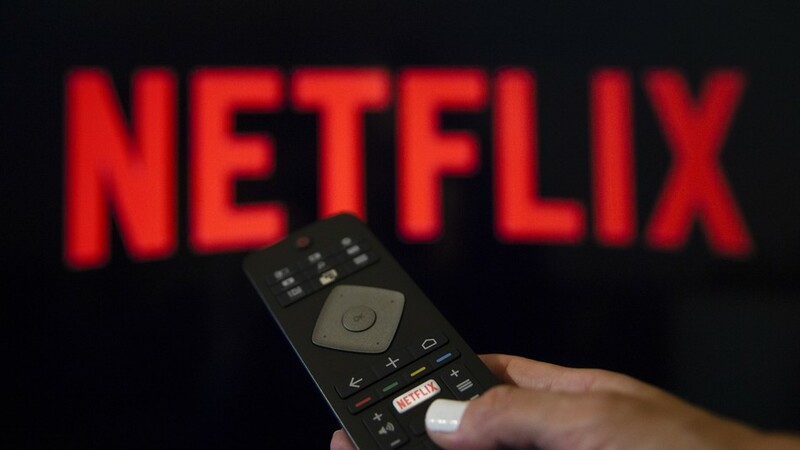 You, Me and Movies: Why Does Netflix nail it with their TV series but not their movies? Why Does Netflix nail it with their TV series but not their movies? This was originally going to be a review of "How It Ends," a movie I saw last week. I've also got two other recent movies dancing in my head, they are entitled "Tau" and "Extinction." What makes these three titles special is that they are all Netflix Original films. Whatever you think of this particular streaming service. Whether you prefer Hulu or Amazon Prime or whatever, there is one thing that is unbeatable, Netflix started it all. In the early days of Netflix streaming, it was pretty dead. But in 2013, when "House of Cards" was released on Netflix as an original television series, one that you could only view on Netflix. It really got the ball rolling on what streaming services could actually do. It set a brand new standard before it really knew that it did. From that point forward Netflix did a great job curating nice programming for television series. Soon after "House of Cards" came "Orange Is The New Black," which was also excellent. Then a deal with Marvel went through, and they pushed more and more and more original content. Most of it of which is good to great. Sure, a "Hemlock Grove" or an "Iron Fist" sneaks into the line-up, but people are still constantly talking about the latest Netflix series, and the older ones are still favorites. But the amount of enthusiasm for Netflix TV series is not met with their original movies. I think Netflix began with all barrels blazing with "Beasts of No Nation," a movie I think everyone should see. But that wasn't a hotly talked about item, and as more movies entered their fold, they weren't meant with the same praise. It seems as the years stack on, nothing changes. I've seen three Netflix original movies this week, and I've been stunned silent by all of them. I thought I liked "How It Ends," an end-of-the-world scenario movie with Forest Whitaker. But the more I've thought upon it, the lamer I think it is. It's a buy-the-numbers apocalypse movie. A checklist of what to expect instead of having a genuine story. Plus the final struggle of the movie is so anti-climatic it might as well had been a deleted scene, and the ending is a total cop-out. "Extinction" with Micheal Pena and Lizzy Caplan was so mindlessly boring that I couldn't finish the whole thing. (Something that rarely happens). "Tau" had a cool idea, a sort of technological "Beauty and the Beast" riff, while also channeling "Chappie." But it ultimately was a dud. Moreso than any other year, I've seen a laundry list of original Netflix films in 2018, and I've barely reviewed them, simply because I'm so shocked by the quality that I don't know what to say. I am having a hard time wrapping my head around a streaming service that does so well with their television arm but not their movie arm. Do they just not care as much with the movie side as they do with the TV side? Do they put in less effort because they know they have a brand name now and clicks are all that is important? Their first big budget style movie was "Bright." A high-profile film for the service that starred Will Smith and Joel Edgerton and was directed by David Ayers. They got some big guns for that one, and even that was a total dud. A complete bastardization of the cool script I read months prior to release. But Netflix is greenlighting a sequel simply because lots of people clicked on it to watch. Doesn't matter if they finished it, doesn't matter if they liked it. The sequel is coming simply because millions and millions of people clicked to watch it. This is what is tricky on analyzing what is truly successful with Netflix compared to other television. You can look up television rankings right now if you wanted to, that's much more complicated with Netflix. Are they self-aware and use that to their benefit for their movies? They maybe greenlighting a sequel to "Bright," but I don't see many people discussing the film. Talks went dead after its release, and that's never a good sign. SO why even go through with the effort? For a studio that has such a good eye for television, wouldn't they apply that to the movies? Or do they just treat movies like red-headed stepchildren to add more focus on their television shows? Not saying ALL their films are bad. "What Happened to Monday?" is tons of fun. The Pee-Wee Herman movie was decent. Some of the Sandler deal films were decent. "Mudbound" is probably their best movie to date. Somehow, they've perfected the art of adapting Stephen King stories, no easy feat that. So I wonder why they can't, time after time, release good content in their movie field. Are they just oblivious to the fact that nobody is talking up their movies like they are their television shows? Or is this all in my head and I just need to lighten up? "Tau" and "Extinction" and "How It Ends" are on Netflix right now, proceed with caution.